When one’s womb is energetically filled with negative experiences from past or present, it can collectively create all sorts of physical, emotionational or behaviouruall issues. This blocks the ability to create life, to manifest visions, and receive and give love. Examples of negative experiences include generational patterns, abortion, miscarriages, abuses, past life experiences and other injustices that can and have happened to the feminine personally and generationally. Diving deep into your shadow and connecting with your womb is an incredibly powerful and emotionally purging experience. This makes space for incredible freedom within your womb-heart to truly anchor and embody more of your soul to be expressed in this life and receive abundance from all avenues of the universe. It takes courage and raw determination to feel, know and accept that you came from love and are love. In this workshop you will learn how to decrease problematic symptoms and experience the energetic of the womb, self external womb massage, yoni steaming, womb mapping, temple practice, connected breath work, psoas stretching and much more. I invite you to feel and know the truth, love, power and wisdom within you. Finish: 2pm Sunday 5th May 2019. Investment: $750 or Early Bird $610 (paid in full by 17th April 2019). A concession is available, contact me for more details. Start 5pm Friday 3rd May. Finish 12pm Sunday 5th May 2019. Deposit of $200 required to confirm your place. Fully refundable. 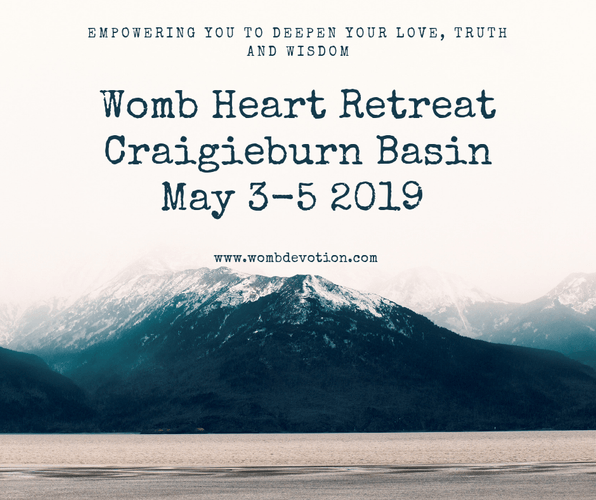 This retreat will be held in a subalpine environment in the Craigieburn Basin at the cosy comfortable Porters Lodge. A great place to take time out and be nestled in the healing energy of the mountains, you will have twin share accommodation, 3 x vegetarian meals a day, all dietary requirements are catered for. You will receive a goodie bag on arrival. 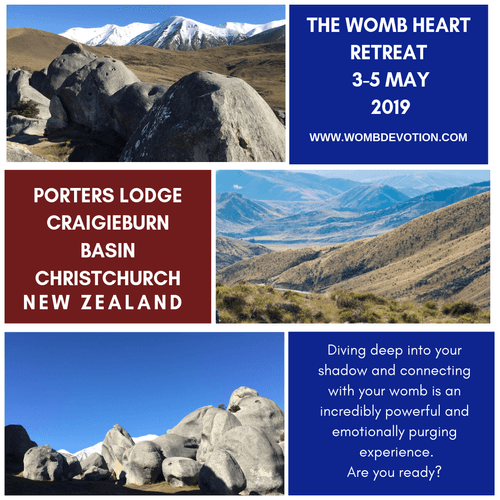 Once payment is confirmed you will be sent a confidential questionnaire regarding your womb health, to be returned prior to starting the retreat.If you require transport we will try and co-create carpooling, details will be confirmed prior to weekend. What to bring: loose comfy clothes, something warm for night time, a pillow to sit on and your water bottle. If you have a photo of your mother please bring it. If you do not, please bring a photo of your step mother or main caregiver. *I will be available for one on one Mizan Womb Abdominal Therapy pre or post retreat.